R. Jack Balthazar created the Alice in Wonderland themed floral designs for this Beverly Hills party. 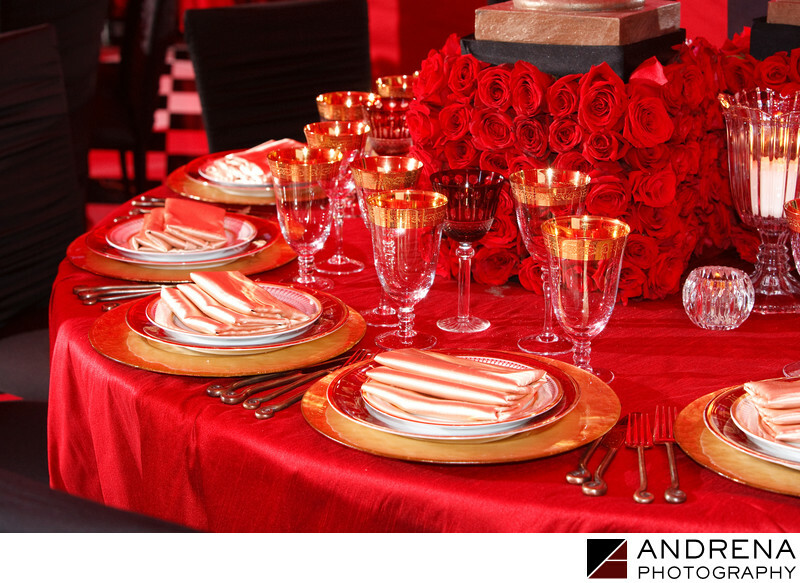 Red roses served as the bottom of huge gold chess pieces, and gold chargers and napkins provided a lovely contrast to the deep red of the tent and center dance floor. The larger tent floor featured a black and white harlequin pattern, while the tent's center ceiling featured a rotating globe showcasing 3D projected scenes from movies. With design and coordination by Sonia Sharma Events.